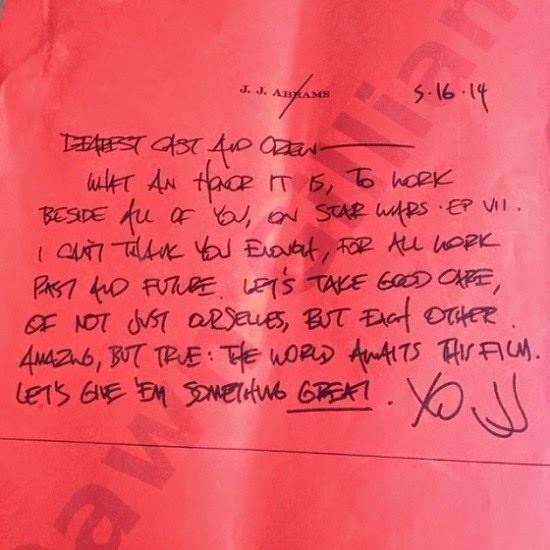 A handwritten letter from Director J.J. Abrams to the Star Wars Episode 7 cast and crew has leaked online. If nothing else you can tell love and compassion Abrams has for this property and it's characters as he shoots this film. With this much heart behind it we expect Epic things from Episode 7! Props to /Film for the photo!